smcdsbsjb Newsletter St. Jean de Brebeuf Catholic... Some important info. 3. Wednesday Oct 4 is again our Walk N Wheel Wednesday where we encourage our non-bused students to walk or wheel themselves to school. It promotes healthy living and brain development. Bus students are asked to walk to their bus stop! 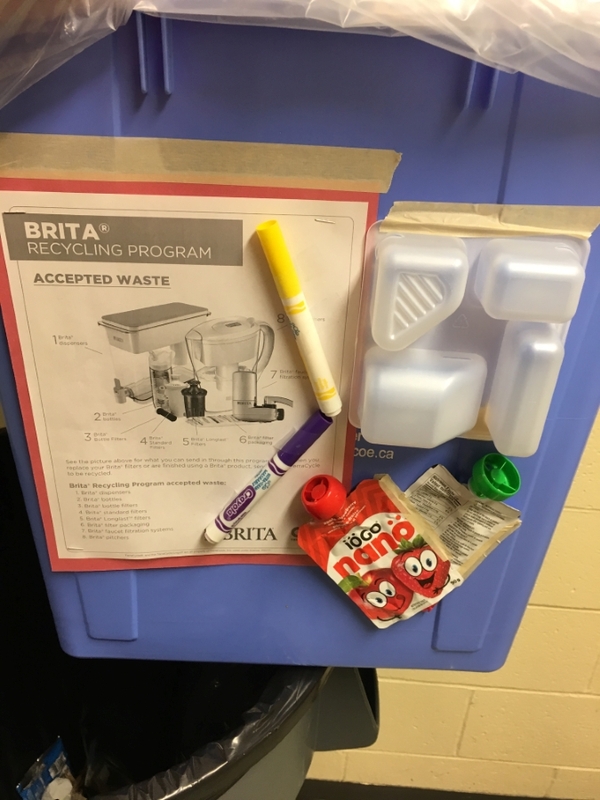 SJB is now a Terracycle School, and we are recycling the following: All BRITA products (filters, filter packaging, bottles/jugs that are in disrepair); GoGo Squeeze (or similar) snack pouches (foil pouch with the twist on/off plastic lid; and Schneider's Lunchmate packaging. Encourage your child to recycle these products. We are also part of a Crayola pilot project, and we are collecting dried out markers (any brand) to return to Crayola for recycling. Please encourage your child to recycle this product. Thanks.